In a nod, perhaps, to Chicago's famous "Magnificent Mile,"Jewish Federation President and CEO Marc Blattner likes to refer to Hillsdale's Jewish enclave as "the magnificent half mile." The area is home to congregations, day schools, Jewish organizations and kosher food options in a compact radius. Portland's Jewish population is scattered across the city, but a substantial and eclectic conglomeration of Jews still live in this Southwest Portland pocket. "The Jewish community in Hillsdale is very vibrant and diverse. We've got people who are Orthodox — on the full right end of the spectrum who are very observant, who keep Shabbat, who don't go out, don't use electricity or money — and then you've got people who identify as Jewish culturally but don't adhere to the commandments in the same way," said Neveh Shalom Rabbi Eve Posen. "And then you have everybody in between." The Portland Jewish community's evolution over the past century reflects societal changes. In the early-to-mid 20th century, anti-Semitic policies at private facilities incentivized Jewish citizens to build their own community center. There, they could interact with like-minded individuals, free from discrimination. And so the Mittleman Jewish Community Center (MJCC), which was founded in 1914, became a hub for Jewish life. The center resided on Southwest 13th Avenue and Mill Street for nearly 60 years before the City of Portland forced the center to move in order to make room for a new highway. In 1971, it moved to Hillsdale. Once the community center was built at its current location on Southwest Capitol Highway, a distinct Jewish community began to emerge. "I think it became a natural hub because of the giant anchor tenant of the MJCC," Blattner said. But in recent years, with rampant discrimination a relic of the past, more Jews have felt comfortable moving to other parts of Portland. "I think what's happened over time is that, as that kind of discrimination has lessened, people have had greater opportunity to engage with a wider range of organizations. And as a result, there's less of a need to focus on the proximity to Jewish organizations when you're deciding where to live," Mittleman Jewish Community Center Executive Director Steve Albert said. Still, the Hillsdale area remains the epicenter of the Jewish community. It includes the MJCC, the Jewish Federation, Portland Kollel, the Conservative congregation Neveh Shalom, the Orthodox synaguge Kesser Israel, Chabad of Oregon, three Jewish day schools, Café at the J and a new kosher food cart called Holy Smokes. The Jewish Federation also recently funded a new mikvah — a ritual immersion bath — behind the MJCC. The mikvah, which will be overssen by the Oregon Board of Rabbis, is essential to the conversion to Judaism and marks other formative moments in individuals' lives. A previous mikvah in downtown Portland was rundown and decomissioned. "You could be mourning the death of a loved one, you could be celebrating a milestone birthday, you could be doing any myriad of things where you feel that going through this water and having the spiritual experience will add value or help you mark that experience in a Jewish context,"said Caron Blau Rothstein, the Jewish Federation's director of community engagement and special projects. "It's a very physical experience, but it has a spiritual meaning. It's about transformation. If you go in and you're not Jewish and you dip and come out as a Jew, you can't get more transformative than that." In addition to the new mikvah, the varied Jewish community comes together at the MJCC, the Portland Jewish Academy and Portland Kolell — all common spots for different facets of Judaism to intersect. "We often talk about the MJCC as the living room of the Jewish community because people can come here regardless of what branch of Judaism they subscribe to," Albert said. The different synagogues sometimes collaborate via community-wide events. When this happens, different kosher standards among congregations can cause minor problems. But the rabbis work through disagreements. "You could look at it and say, 'That's really offensive,' or you could say, 'Listen, we agree that we have different standards and we want you to be a part of the community, so we'll make sure that there are meals provided that are cooked in a different kitchen that's under your supervision,'" Posen said. Blattner and Albert say Orthodox and other exceptionally observant Jews are more likely to live in Hillsdale because of its proximity to synagogues. During Shabbat observance, Orthodox Jews are prohibited from driving and working, among other restrictions. But the rules are less strick within a particular boundary, called an eruv, that usually exists close to a synagogue. Because of this, living in close proximity to their place of worship is a necessity. "They are not going to by and large live outside of this area or they're going to feel very isolated and not have access to those communal experiences," Rothstein said. Another unique component of the Hillsdale community is the modest yet apparent presence of kosher food options. While Albert says kosher restaurants are virtually nonexistent along the West Coast, the Cafe at the J and Holy Smokes provide such dining services. "Several synagouges maintain kosher kitchens. But those aren't restaurants. If you're just somebody who lives here in Portland and wants to go out to eat, there aren't a lot of choices," Albert said. Despite geographic changes, Blattner and Rothstein don't expect major infrastructure developments to be the way of the Portland Jewish community's future and thus don't expect another enclave similar to Hillsdale's to sprout up in Portland. They've also noticed that Portlanders have a severe distate for extensive commutes, so the Jewish Federation hopes to foster grassroots events and activities at a bevy of locations across the city. They believe this "do it yourself" model, combined with providing stipends and grants, could fill the void left by a potential decline of robust Jewish infrastructure. "You could give somebody $200 to do Jewish programming and they could attract lots of people and connect with their peers. That's a lot less expensive than turning on the lights in the building and hoping that somebody comes the next day. Low-cost, high-impact kinds of things," Blattner said. The Jewish population in Portland hovers around 35,000 and, despite increasing affordability issues, Blattner believes that number will rise considerably in the coming years. "I believe we will continue to be one of the growing Jewish communities in America. There's a lot of small-town Jewish communities that are shrinking in size. We're one of those cities that's a destination town. It's a hip place to live. It's the Pacific Northwest. Portland has its weird, funky mentality. It has a great Jewish community," he said. 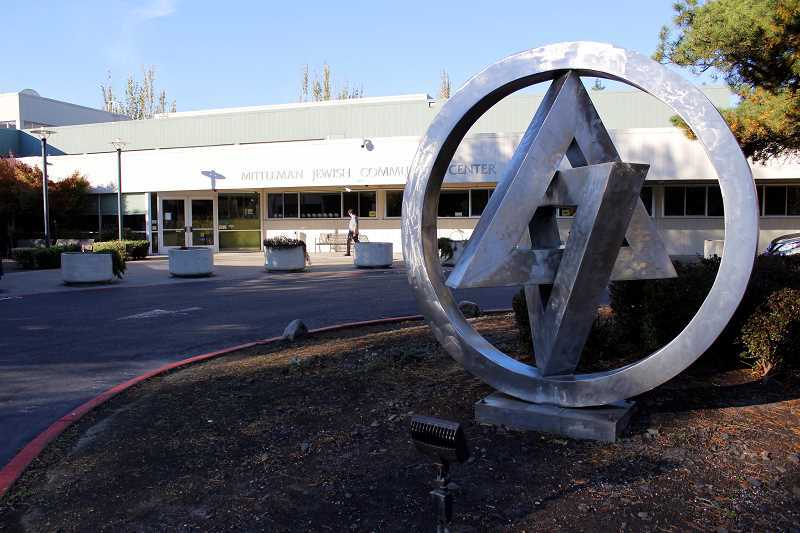 Like the Jewish Federation, the MJCC has reached out to a wider array of Jewish Portlanders and neighboring cities and communities. Though Hillsdale could be considered the center of Jewish life in Portland, sitting and waiting for Jews to flock to Southwest is no longer a viable option. "We're looking to do a better job of going where people are instead of expecting them to come to us," Albert said.